Blue strobe lighting and billows of red smoke is how Kelly Jones and his band opened the gig to coincide with their eighth album release. As they launched into Catacomb, and Local Boy in a Photograph, the crowd were energised but then slumped over the next 15 minutes. The band were keen on playing new material and I felt they were giving more than they got back from fans. It took classics A Thousand Trees and Maybe Tomorrow to wake up them up again. The second half of the concert was the more successful. 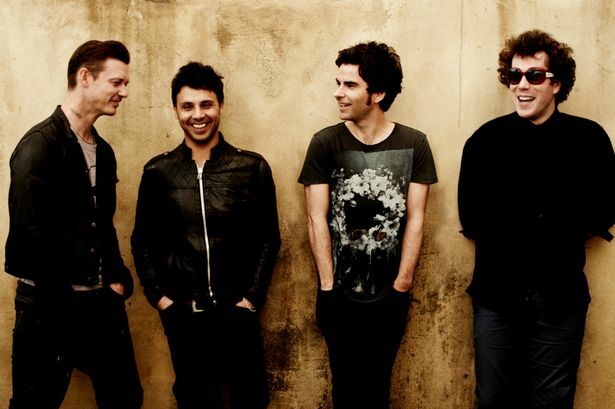 Tracks like catchy Indian Summer and Have a Nice Day reminded everyone what Stereophonics do best – anthemic, feel-good music with a festival atmosphere. We felt we were at Glastonbury at the height of summer rather on the Tyne banks on a chilly November evening. Their new album shows hints of more mature, blues-style melodies. But it was the favourites that had fans going. The encore was delivered with style and class – classic Stereophonics. Finishing with Dakota, and a stadium Mexican wave, the group sealed the deal on a euphoric high. In two decades they have sailed the charts, their appeal hasn’t faded.